By popular request from members, media storage limits were significantly increased across all GigMasters memberships in 2018. Members now have more space to upload high quality video/audio files to showcase their talent to potential clients. If you missed this update, check it out here. 2018 was a year of bookings, that’s for sure! The number of bookings on GigMasters increased by more than 5% in 2018 compared to 2017. With the number of bookings being up on GigMasters, it's no surprise that total booking dollars earned by members grew significantly in 2018. GigMasters members collectively earned over $26 million last year! There were a lot of happy clients last year! The average of all client reviews that GigMasters members received in 2018 was 4.9, up from 2017. Keep up the great work! Clients continue to rely on GigMasters for all their party entertainment needs. There were a total of 3.5 million leads generated on GigMasters.com in 2018. If you need some tips for managing and responding to your leads in 2019, check out these helpful articles. We'd love to hear about your year! Share your biggest accomplishments in 2018 below in the comment section. Not a GigMasters member yet? 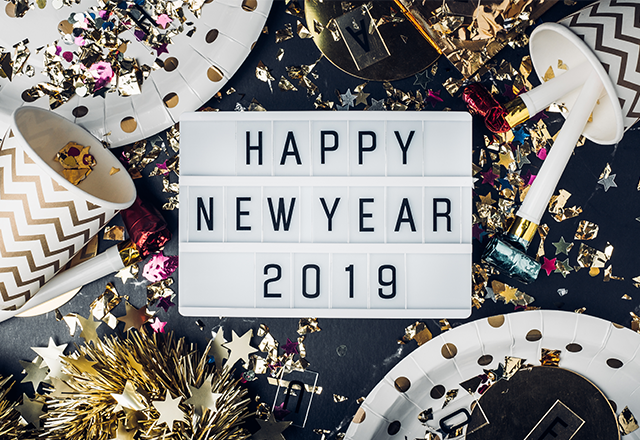 We want to help you have a successful 2019. Learn more about becoming a member.